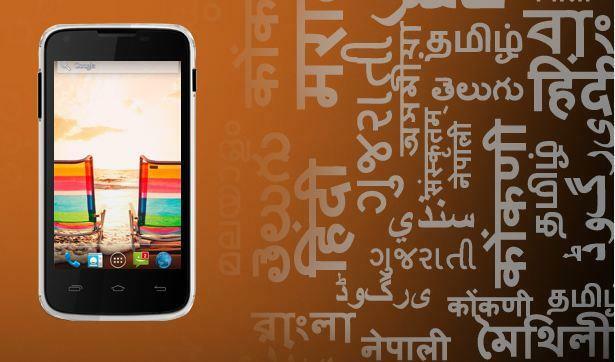 It was just a few days, literally while Micromax brought some changes in the smartphone world in India, with its Unite 2, which supports 21 Indian languages to fit in every person’s hand with the independence to use it in a lot of languages keeping in mind the diversity of languages in India and now, they are going to do something even bigger. Micromax has listed Unite on their website which is also going to be a budget handset running Android 4.3 Jellybean, but a lot more powerful with a Qualcomm Snapdragon quad core processor clocked at 1.2 GHz and will be coupled with a robust 1GB RAM. It has a 4-inch IPS display with a fairly good resolution of 480×800 pixels. The phone sports a 5MP rear camera with LED flash and a 0.3MP front camera. It has 8GB of inbuilt storage which will be extremely beneficial for geeks and gamers some that they can store as many apps they want, though the handset’s memory can be expanded up to 32GB via microSD card.The smartphone will be powered up by a 1500mAh battery and the company claimed that it delivers up to 5.5 hours of talk time and up to 140 hours of standby time. talking about the connectivity options, the Micromax Unite supports GPRS/ EDGE, 3G, Bluetooth, GPS, Wi-Fi and Micro-USB connectivity options and as it is a dual SIM (GSM+GSM) phone it will be very convenient for people using more than one SIM, with easy SIM management and good connectivity options. The Unite is available in Classy Black, Mystic Grey, Pristine White, Vibrant Yellow and Fiery Red colors.